The top bar has the name of the Lodge "Union Masonic" inscribed thereon. The Compass and Square is a standard silver Past Master's Jewel with a fixed "G" suspended from a silver bar with "Lodge No. 105" inscribed thereon. Union Masonic Lodge No. 105"
History of Warrant No. 105. There is no record of the issue of Warrant No. 105 in the Grand Lodge Register, but issued to brethren in DUBLIN, probably either April or June 1739. Warrant No. 105 was erased on the 5th November 1801. Warrant No. 105 was transferred to Tandragee on the 3rd January, 1828. History of Union Lodge No. 105, 1828 - to date. Warrant No. 105 was "purchased" [see footnote] and removed to Tandragee, County Armagh following a Petition of Transfer being laid before Grand Lodge which was granted on the 3rd January, 1828. At the time of its removal to Tandragee it had been known as "Murnaghan's" Lodge. it was common practice at the time to call a lodge after Members of a Family particularly associated with a lodge. Lodge No. 105 took the title "Union" Lodge in 1828. The Lodge originally met in a public house in the town. On the Festival of St. John the Baptist in1835, the following Lodges of Freemasons met at Newry:- Nos. 18, 23, 52, 69, 77, 80, 82, 105, 119, 150, 213, 241, 269, 336, 410, 459, 526, 654, 678, 696, 697, 706, 888, and 943. Having assembled, without music or colours, in the open space at Trevor Hill, they walked in procession to St. Mary's Church, where a Sermon was preached by the Rev. Brother Mant, Archdeacon of Down, from 1 Peter X1, 15,16..... After Church the Brethren walked again in most quiet and orderly manner to Trevor Hill, where they formed themselves into a hollow square; and, having greeted each other with a public Masonic Salute, returned to their respective Lodge-rooms. "2 March, 1868 – Read letter from Lodge No. 105 Tandragee stating that one of the members of the Lodge having died suddenly and wishing to be buried with Masonic honours, they took the liberty of doing so, but afterwards found that they should have asked for a dispensation. They state that it was an oversight and now request that a Dispensation mat be sent to them and enquire the cost of same." The Lodge was excused and no Dispensation was required. Union Lodge No. 105 has one particular honour in that it was the Mother Lodge of Bro. Dr. F.C. Crossle. Bro. Crossle received both his Entered Apprentice and Fellow Craft Degree on the 4th March ,1873 and His Master Masons' Degree one week later, on the 11th March, 1873. He was elected Worshipful Master in 1875. R.W. Bro. Dr. F.C. Crossle, B.A., M.B., M.Ch. At about twelve o'clock, the members of 105 and representatives of some of the neighbouring lodges assembled in the Manchester Hall, and thence repaired to the site of the proposed hall, where the Stone was laid in due Masonic form by Br. Close; Br. Wm. Trimble, of 111 and 623, acting as master of ceremonies. After the laying of the stone hearty cheers were given for Br. Close, who acknowledged the salute, and congratulated the brethren on the celebration of the event which had brought them together. The Masonic Hall, Tandragee c.1890s. extended considerably, the original hall is clearly identifiable. The said Hall in Tandragee, which is the oldest Masonic Hall in the Province of Armagh, opened on 12th March 1875. The leading spirit in the building of this Hall was Dr. Francis [F.C.] Crossle, who was subsequently the Provincial Deputy Grand Master of the Province of Down. George Victor Drogo Montagu, Lord Mandeville, later 8th Duke of Manchester was Worshipful Master of Union Lodge No. 105 in 1879. Captain George Victor Drogo Montagu, known as Viscount Mandeville (1855-1890); and later the 8th Duke of Manchester), 3rd Bn., Royal Irish Fusiliers, was born in London on 17th June, 1853, the eldest son of William, the 7th Duke of Manchester and Lady Louisa Frederica Augusta von Alten. He was educated at Eton. He was a Lieutenant in the Huntingdon Militia and the Member of Parliament for Huntingdonshire from 1877 to 1880. During the Zulu War (1879) he was appointed Aide de Camp to Sir Garnet Wolseley and according to a report in the Newsletteron one occasion "he was assegaied by a Zulu running amok and shot him". In 1880 he was appointed Captain in the Armagh Militia, later to become the 3rd Battalion, Royal Irish Fusiliers, and held the post for 2 years. He died at Tandragee Castle on 18th August, 1892, aged 39. One of the colourful members of Lodge No. 105 was Bro. Samuel Rainey, born 1 November 1799, died April 1905, "the oldest Freemason in Ireland", when he died. King Edward V11 sent £10 to erect a headstone over this remarkable mason. Union Lodge No. 105 was represented at the memorial service in St. Mary's Church, Newry, conducted, 10th October, 1910 by the Lord Primate, in memory of the late Bro. Dr. F.C. Crossle. Three members served in the 1914 -18 War, George C. Dickson, Captain, Royal Irish Fusiliers, George Sinton, Private, Canadians and Benjamin (Bennie) Sterling, Private, Royal Marines Light Infantry - all returned. Photograph of George C. Dickson, when a Second-Lieutenant. Prior to receiving his Commission in the Ulster Division and being posted to the Royal Irish Fusiliers, he was a member of the North Armagh Division. Captain George C Dickson, Royal Irish Fusiliers, from Tandragee, was the youngest son of Mr. and Mrs. George Dickson, Mall View, Tandragee. He was a member of Tandragee Presbyterian Church and a member of Union Masonic Lodge No. 105, and both he and his brother Henry were members of Tandragee UVF Company. He enlisted shortly after the outbreak of the war, received his commission in August 1915 and went to the front in October 1915. Whilst at the rank of Second Lieutenant he was wounded in the breast at the Somme in 1916 - a wound that was to trouble him for the rest of his life. At the time his brother was serving as a Sergeant in the same Battalion. After the war he served as an Adjutant in the Ulster Special Constabulary. In 1940 he was made Adjutant of Portadown Home Guard and in 1944 he was appointed Area School Meals Organiser for the County Armagh Education Committee – a post he held until his retirement. He died in 1955. A total of 136 brethren registered up to 4th December, 1923. In most cases the dates when the issue of certificates is shown, together with the occupation of the brother. A total of 101 brethren registered up to 5th August, 1952. In most cases the dates when the issue of certificates is shown, together with the occupation of the brother. A total of 130 brethren registered up to 12th June, 1984. In most cases the dates when the issue of certificates is shown, together with the occupation of the brother. "Bro. David Geddis, now aged 84 years, was born in the townland of Cargins, Tandragee, and County of Armagh, and was the son of Adam Geddis. David's brother, Adam, was a member of 105. David was himself initiated in 105, and was for a time a Member of Lodge 360, which sat in Parker Shepherds, Tandragee. Lodge 105 was at this time meeting in Loughbrickland, and David, together with James Flanagan, bought the Warrant for £4, and brought it to Tandragee, where it still remains. - James Flanagan was the first W.M. after the Lodge was removed to Tandragee." This is a very interesting Paper on early Freemasonry in Tandragee by W.Bro. J.A. McClelland, a member of the Lodge of Research, which as you will see is based upon notes written by his late father, V.W.Bro. 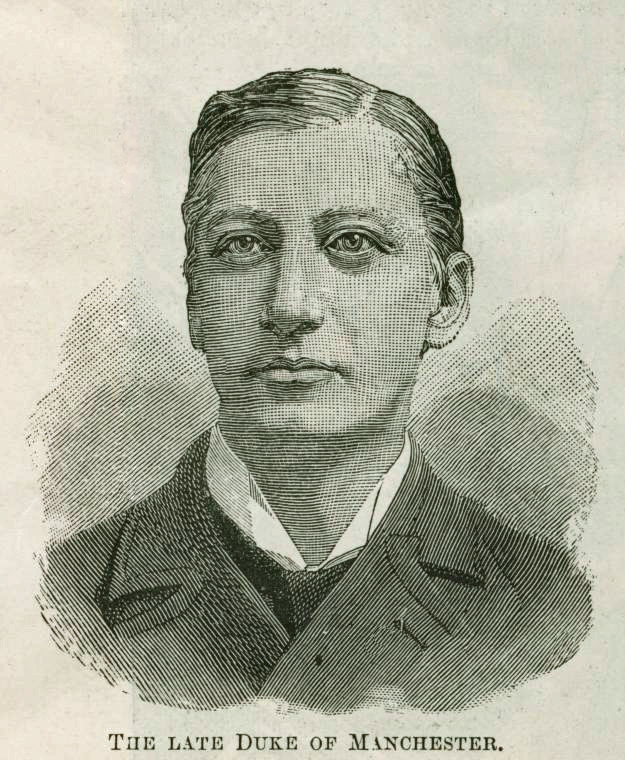 Samuel McClelland, who was Secretary of Union Lodge No. 105 for some 39 years! The Paper may be accessed through the following Link ~ Early Freemasonry in Tandragee. This Paper is reproduced from Volume XV of The Lodge of Research Transactions for the Years 1963 - 1968. A .pdf copy may be accessed by the following Link ~ Early Freemasonry in Tandragee. Details of when union Lodge No. 105 meets. Union Lodge No. 105 on the 1st Tues. at 8.00p.m. (EXCEPT 7 & 8) at The Mall, Tandragee, County Armagh.